nd as such it is important that candidates are based there. We only accept code 10 and 14. Closing date: 03 November 2017 at 16h00. Las solicitudes sin todos los documentos requeridos pueden no ser consideradas. 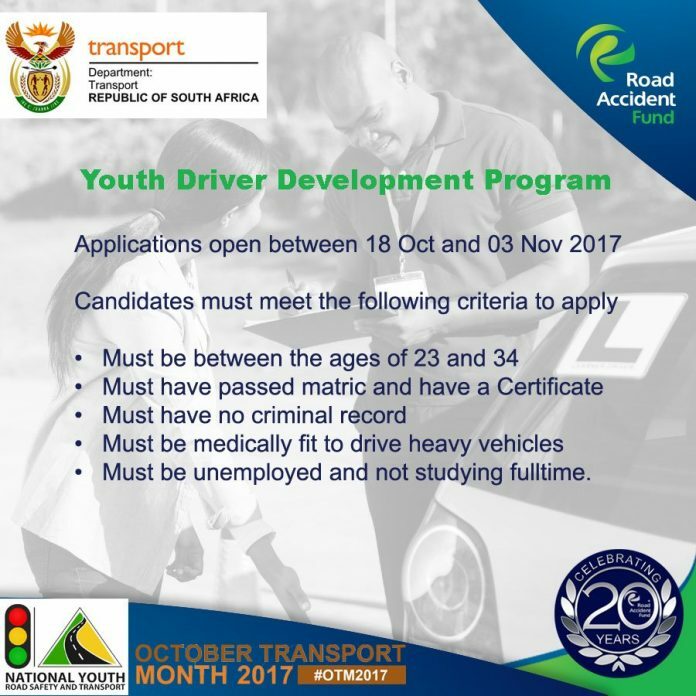 Good day,My name is Hlengiwe Precious Chiliza,I am one of the people who applied in post of Youth Driver Development Program. In my Application Letter I have stated that I am very much interested in the program as I do have code 10 driver’s licence and code14 learners licence.i also stated that this program will allow me to achieve my goals and also my career. I haven’t received a call from YDDP for now and as it said in the post that we should wait two weeks it seems to be morethen two one. Gracias por su tiempo en Leer mi comentario. Mi número es 0736376577.